This evening's sampling is the Stout from Sierra Nevada Brewing Company. It is a twelve ounce bottle and 5.8% ABV. The Sierra Nevada web site lists 50 IBUs. 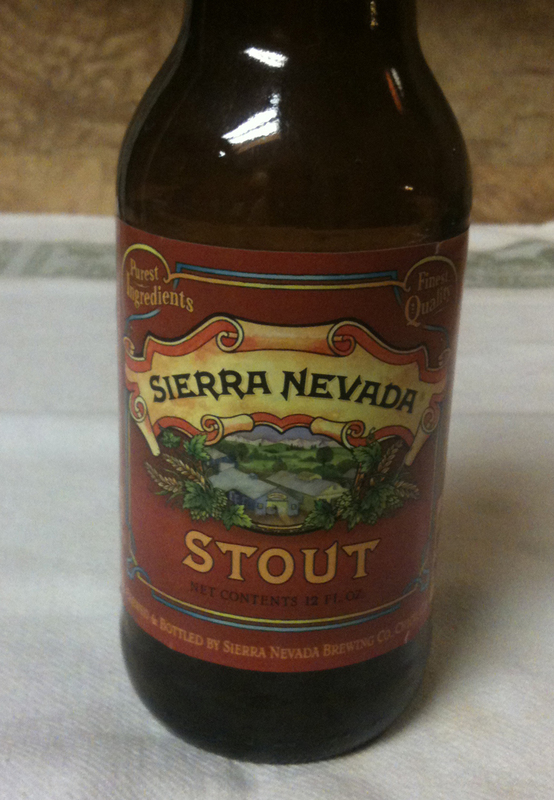 This stout poured with a small head, which was a nice shade of brown, but not a real darker brown. The beer doesn't pass any light through when held up to the light - a very dark, blackish brown. I get some hops in the aroma, and a hint of chocolate. It has a nice balance of hops and malt. Not overly strong - probably a medium in strength. Very little aftertaste.